You’ve met the PIP yet. Cute little happy word isn’t it? Well that’s exactly what it is since this cute little word will make you very happy and rich if you use it the right way. You need to completely understand how to calculate your wins and losses through the PIP. Otherwise don’t even bother start trading. The unit of measurement that indicates the change in value between two currencies is what you call a ‘pip’. If the EUR / USD pair rises from 1.2250 to 1.2251, then the .0001 USD increases in value 1 PIP. Simply, a pip is the last decimal figure of a quote. Most pairs are shown to four decimal places, but there are exceptions such as the Japanese yen (to two decimal places). But watch out! There are brokers that show currency pairs different from the standard “4 and 2” decimal, but instead using’5 and 3′ number decimals. What they actually do is showing fractional pips, “which are also called ‘pipettes. For example, GBP / USD 1.51542 1.51543 moves, then it rises .00001 1 PIPETTE. As each currency has its own relative value the value of the pip must be calculated for a specific currency pair. We give an example in which we use a ratio of 4 decimal places. 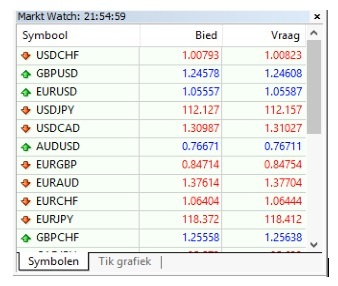 In order to explain the calculations easier we exchange ratio set down like – so: EUR / USD at 1.2500 is “1 EUR / USD 1.2500. USD/CAD = 1.0200; or 1 USD to 1.0200 CAD; or 1 USD/1.0200 CAD. Continuing this example, if we sell 10,000 units USD / CAD, then one pip change of exchange rate changes of approximately 0.98 in the position value (10,000 units x 0.00009804 USD / unit). We say “approximately” because when the exchange rate changes, the value of each pip move is also changing. You’re trading at an international market you remember? So not everyone on the whole world has chosen the same currency for their account. Shortly, the value of the pip needs to be converted to the currency used at your account.